Another year, another IMATS weekend. I chose to attend on the Saturday again (the busiest day) and was kindly given a press pass again by the lovely IMATS organisers. For anyone who may have been living under a rock (I jest), IMATS stands for International Makeup Artists Tradeshow. It tours around the world, coming to London's Kensington Olympia in June. Effectively it is a tradeshow, where brands sell their wares, with big deals on and heavy discounts. MUA's also show off their skills, with amazing beauty looks, special effects creations and body art going on. Unis and colleges who offer MUA of SFX courses offer information and of course there are talks, demos and Q&As on various stages. In recent years, IMATS has also become somewhat of a melting pot for beauty bloggers, youtubers and enthusiasts to meet each other, which I think is great. I met up with the beauty bootcamp lovlies: Ava, Rupinder, Marc, Rosie, Poppy and Aline when there and it was so great to see the girlies I'd met before and meet the others. Once we were there we also hung out with Holly, Becca, Gracie, Sabrina, Tasha and Jaydee who Marc and I went to dinner with. I also chatted with Gabriella who I'd never met before! I had a really lovely day and bought lots of goodies. 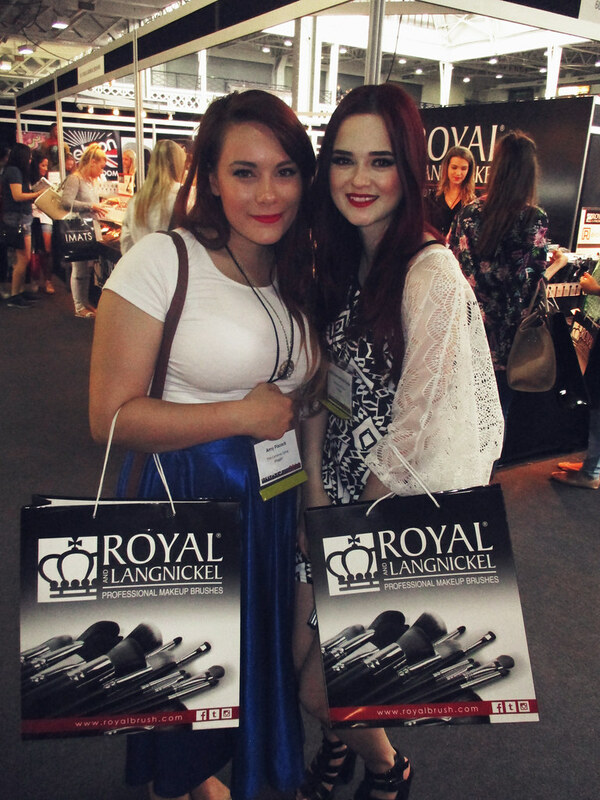 IMATS really is a palace for the beauty junkie with bargains and talent to be amazed by. Thanks for another great year, IMATS, see you in 2015.